The conversation relating to the August 1, 2018 announcement of the ‘collapse’ and so-called ‘consolidation’ of the five bankswent from taking stock of the intensity of what had happened and quickly veered into what ought to be the personal liability of the directors and management involved with these banks. Over the rest of the week following the announcement, a survey of the now ubiquitous news analysis programs on TV and radio show a strong and growing measure of public angst about what the Central Bank ought to do with regard to the directors and management of the banks. Are they to walk free? If a sample of radio call-in and news media panellists’ views are in any way representative of the general public view, then there is a real call for ‘heads to roll’ and fast! In this atmosphere of public indignation, it becomes very important that decision making by the regulator ignores this public angst. The reason is that the reality of the collapse of the banks without further proof may be wrongfully played as proof of misconduct. In public comments, the conduct of the bankers have been variously described as a scam, incompetence, fraud among others. It is however recognised as a part of basic corporate governance that business failure, however egregious, is not always proof of conduct violating the law. Reports suggest that the five CEOs of the banks involved in this controversy face a ‘possible ban from working in the financial sector.’There have also been suggestions for quick prosecution. One is however unable to determine from the cacophonous chorus of the public outcry, the desired or desirable criminal charges to be brought against these persons. It is clear that the likely results of any such action will undoubtedly be grave. Where such extreme measures are deemed necessary to be taken, these must be grounded in a sound appreciation of corporate governance, relevant corporate law principles and the relevant banking rules. The following five points of explanation seek to explain why the Bank of Ghana must exercise restraint within the scope of the law in consideration of the conduct of the directors, management and shareholders of the five failed banks. 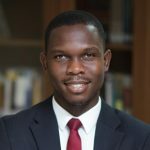 The new head of the Banking Supervision Department of the BOG has suggested the use of July 2017 ‘Fit and Proper’ Directive(FPD) to counter misconduct in the banking sector.The stated objective of the FPD is to ‘set out a framework which can be used by regulated financial institutions as well as the Bank of Ghana in determining whether a person is fit to be a director, a significant shareholder or to hold a key management position within the organization.’The definition of a ‘fit and proper person’ in the directive contains keywords and phrases such as ‘probity, competence and soundness of judgment’, ‘diligence’, ‘interests of depositors’, ‘integrity, ‘qualifications’ and ‘experience’ and ‘taking into account the size, nature and complexity of the institution.’It is obvious that the FPD is aimed at preventing persons who are likely to cause risk to the banking sector to be prevented from being directors, significant shareholders or holding key management positions within financial organisations. One cannot quarrel with this objective. It should also be remembered that banks are simply companies at law. They are nonetheless authorised by further legislation to carry on a special business of deposit-taking and making loans together with other services exclusive to banks or shared with other business. Their directors are also company directors and as for all directors they are expected to act at all times in what they believe ‘to be the best interests of the company as a whole so as to preserve its assets, further its business, and promote the purposes for which it was formed, and in the manner that a faithful, diligent, careful and ordinarily skilful director would act in the circumstances.’The judgment as to the standard of the duty of the care of the director towards the company is objective. It is always important, however, to inquire from the director the reasoning behind the choice between two or more business alternatives before a firm and fair conclusion may be made about whether or not a director, or directors collectively, acted in what THEY BELIEVED to be in the best interests of the company. The maintenance of a company’s capital from needless and sometimes fraudulent dissipation is a feature of all companies. The common law courts from the late 19thcentury had already started establishing clear rules on what may amount to unlawful returns of capital to a company’s shareholders, management and related third parties.Many of these cases formed the foundation for capital maintenance rules in modern companies’ legislation. This is also the case for Ghanaian company law.It goes without saying that capital adequacy and maintenance rules are even more crucial in the banking sector. Towards this end, the Banks and Other Specialised Deposit-Taking Institutions Act, 2016 (Act 930) contains elaborate rules on capital reserves and liquidity, corrective action for undercapitalisation and a risk-based capital adequacy requirement.The importance of financial prudence in the management of companies generally and banks, in particular, is therefore incontestable. Any director of a bank, even a mediocre one, should know this. Should the collapse of a financial institution however suddenly form proof by which to automatically hang all directors of the bank? The answer is no, and this is why the Bank of Ghana is cautioned to hasten slowly with regard to acting in consonance with the public rhetoric and for its officials to be restrained in the public discourse. On this subject, the respected Lord Watson had this to say in the ancient case of Trevor v Whitworth: ‘…Paid-up capital may be diminished or lost in the course of the company’s trading; that is a result which no legislation can prevent; but persons who deal with, and give credit to a limited company, naturally rely upon the fact that the company is trading with a certain amount of capital already paid, as well as upon the responsibility of its members for the capital remaining at call; and they are entitled to assume that no part of the capital which has been paid into the coffers of the company has been subsequently paid out, except in the legitimate course of its business.’It is envisaged that businesses may fail. It is not always proof of misconduct or, as some go so far to suggest, fraud. The gatekeeper role of the BOG under the ‘Fit and Proper’ Directive is welcome. Its stated object is to ‘prevent individuals who pose a risk to the proper functioning of the regulated financial institution from being appointed as part of the management team or from continuing their role when an issue regarding their fitness and propriety arise.’ One cannot certainly argue against that. There is, however, a risk that because of the public uproar generated by the collapse, a wholesale disqualification of all the directors in the saga will ensue. There will be serious human rights dimensions to such a decision if the regulator were to implausibly make one. Any such consideration should be on a case-by-case basis. There is long-lasting reputational damage resulting from the characterisation of a person as being an unfit person to run a financial organisation. 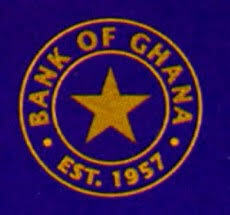 There is proof that successive leadership of the regulator are likely to stick to an earlier categorisation of a person as being unfit to run a bank.The Bank of Ghana should perhaps also leave the determination of the criminal culpability or otherwise of the directors of these banks to the investigative agencies who should properly be assisted by well-qualified independent forensic financial analysts. In this regard, none of the external auditors of these five banks should be appointed as part of such an investigation. While we all collectively accept that protection of the financial space from unscrupulous behaviour is vital, we must not use this problem to create further far-reaching problems that will likely mire the BOG in endless court cases. A word to the regulator is enough. Joy Business, 4thAugust, 2018, http://m.myjoyonline.com/marticles/business/directors-of-5-closed-banks-face-possible-bank-from-working-in-financial-sector, accessed, 6thAugust, 2018. Bank of Ghana (Banking Supervision Division) (July, 2018), The “Fit and Proper” Directive For Banks, Specialized Deposit-Taking Institutions and Financial Holding Companies. Issued under sections 6 and 92(1) of the Banks & Specialised Deposit Taking Institutions Act, 2016 (Act 930). See primarily sections 28-41, 104-106 and 116-120 of Act 930. The continuing tussle between the Bank of Ghana, Ambassador Afare Donkor and the CAL Bank Limited is an important case in point. The government accepted a recommendation from the Joint Committee which undertook the pre-legislative scrutiny of the draft Financial Services Bill to consider an issue raised in the report of the Financial Services Authority (FSA) on the failure of the Royal Bank of Scotland (RBS) – whether the balance between risk and reward for the senior executives and managers of banks needs to be adjusted to take into account the wider impacts to which failings by such individuals can give rise.